It is not always easy being a sibling of a child with autism. However, sibling relationships create benefits for both children and sibling bonds are special. 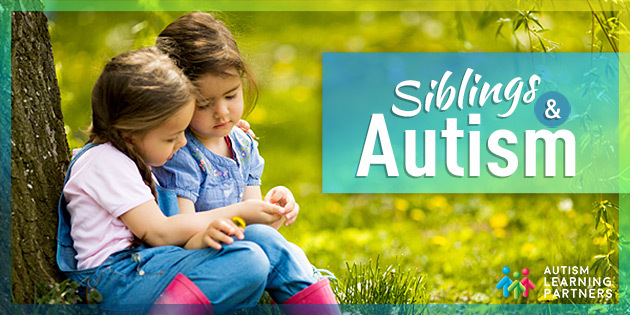 For your child with autism, siblings are often extremely beneficial for developing social skills and supporting the child with ASD. Children with autism do best when they have a sibling who plays with them, helps them learn social skills, prompts them to use language, and is involved in different aspects of their siblings program. There will likely be times where you need to compromise on the attention given to both children. And although your child with autism will have a lot asked of them for treatment and intervention, your other child will also have their own, different expectations. This can be a difficult struggle for parents as they process feelings of conflict, guilt and concern for the well being of all their children. But the balance you create will benefit everyone. A sibling’s motivation and cooperation is only sustainable if parents provide them with confidence, self-esteem, independence, and support on their own journey to build a strong personal identity. Talk about autism. Be open and honest in explaining autism and how it affects their brother or sister. Children will certainly have questions which you should be prepared for and feel comfortable answering. Include them in discussions about the child’s programs, classrooms, and special needs, and encourage their comments and suggestions. Show Praise and Gratitude. Having a sibling with autism is challenging. Praise your children and reward them for helping out. Their sibling will always require their patience and contribution. Let them know you are thankful for their efforts. Focus on the Sibling. Set aside some special “alone time” for you and the sibling on a regular basis. This is time for them to be a kid, and for you to enjoy their company and interests. Make this time fun and special, and allow the child to express his or her unique personality. Siblings should experience their own childhoods and enjoy separate sleepovers, play dates, and extracurricular activities that explore their individual talents and interests. Devote some regular quiet time just for talking. Create an atmosphere where your children feel safe expressing their emotions. Let them know you hear them, and that you know it is hard having so much attention and effort go to their sibling. Remind them of things that are special about them and ask if there are things you have neglected to acknowledge. It can be valuable to know that children raised with a sibling who has autism often mature into well adjusted adults who exhibit extraordinary compassion and caring for others.